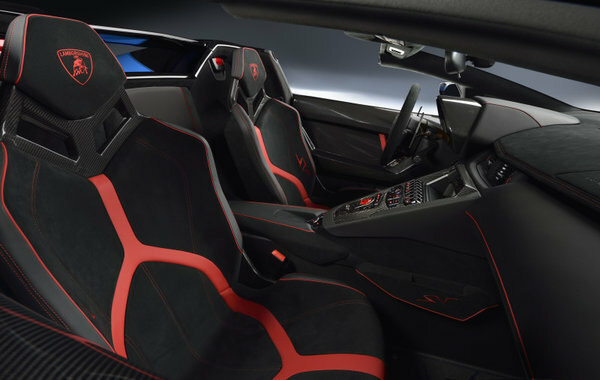 Lamborghini has unveiled the 2016 Aventador LP 750-4 Superveloce Roadster during The Quail, a Motorsport Gathering, one of the most prestigious automotive events on the planet. The Roadster earns the honor of being the first series-produced Lamborghini convertible to wear the coveted Superveloce emblem. 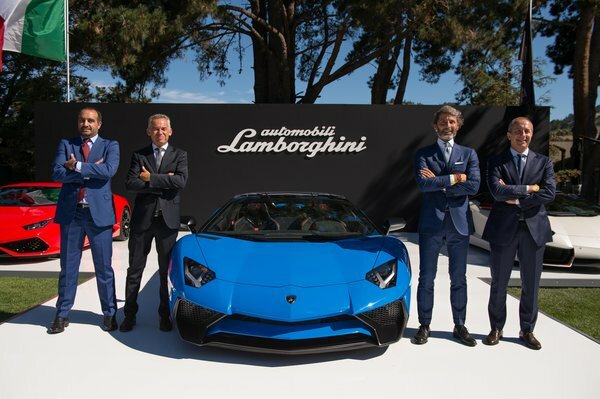 Stephan Winkelmann, President and CEO of Automobili Lamborghini said “The Superveloce is the purest, most sports-oriented and fastest series production Lamborghini ever. 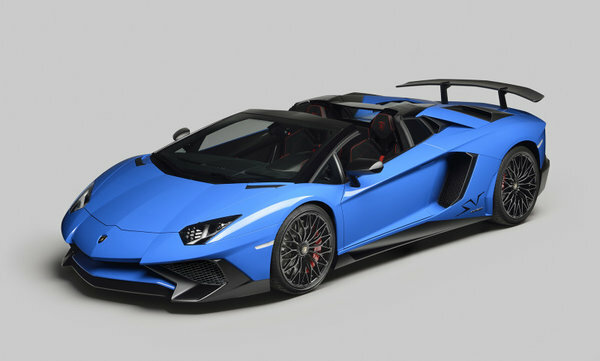 The Roadster version represents our commitment to satisfying our passionate clients with immensely emotional driving dynamics combined with an extraordinary open air experience,” as the cover was pulled back on the new Aventador LP 750-4 Superveloce at a press conference at The Quail during Monterey Car Week. 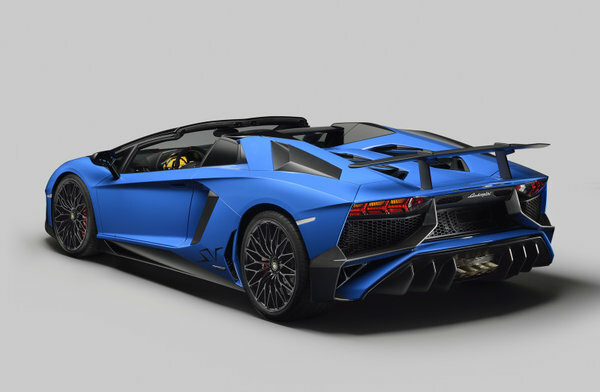 For the Superveloce Roadster model, horsepower was increased by 50 to 750 bhp. Then they reduced the car’s weight by 110 pounds. This gives the car an outstanding power to weight ratio, allowing it to achieve a 0-60 acceleration time of just 2.9 seconds. Power is put to all four wheels through a 7-speed ISR automatic transmission with manual paddle shifters. For improved ride and handling the car features adaptive Magneto Rheological Suspension, a pushrod damping system and Lamborghini Dynamic Steering. Power for the Roadster comes from a naturally-aspirated 6.5-liter V12 engine that generates 750 horsepower at 8,400 rpm and 509 foot-pounds of torque at 5,500 rpm. Built entirely by hand in Sant’Agata Bolognese, Italy, the 12-cylinder pelts the Superveloce Roadster from 0 to 62 mph in 2.9 seconds and, given enough tarmac, on to an Autobahn-worthy top speed of over 217 mph. After all, Superveloce does mean “super fast” in Italian. 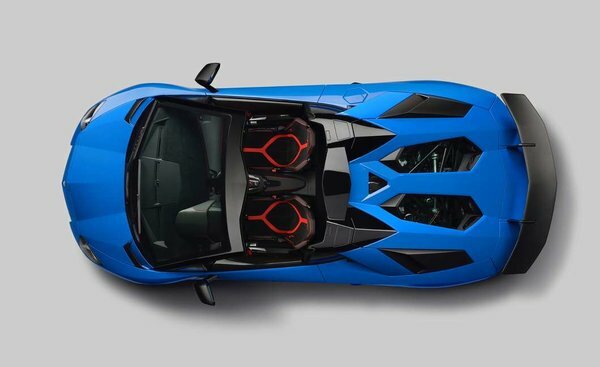 Just 500 models of the Lamborghini Aventador Superveloce Roadster will be built, and each one will carry a base price of precisely $530,075. 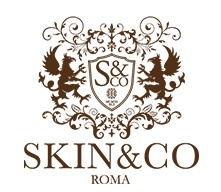 Deliveries will begin in early 2016.